With functions of single sided hot or cold laminating, low temperature heat assistant cold laminating, mounting. 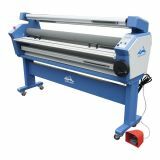 This laminating machine is capable of running a wider range of media and can generate higher process speeds, which make this range of machines ideal for business that are looking to build in extra capacity and more versatility. 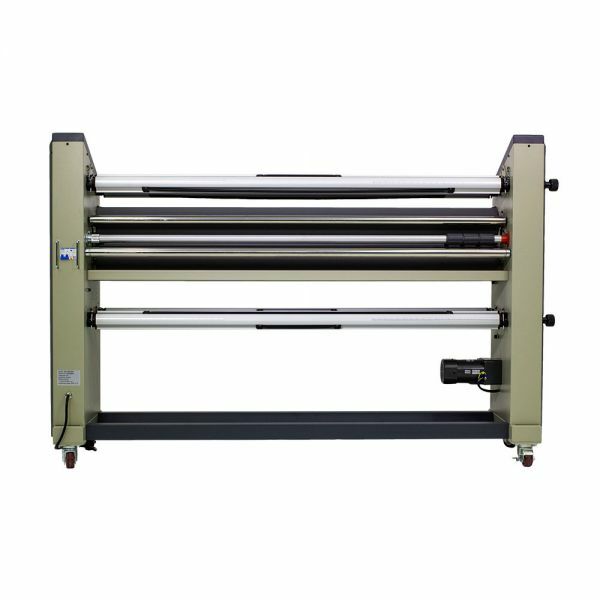 This Mate series laminator is heavy duty full-auto roll-to-roll high-end lamination machine; its entire drop down metal structure makes it much stronger. 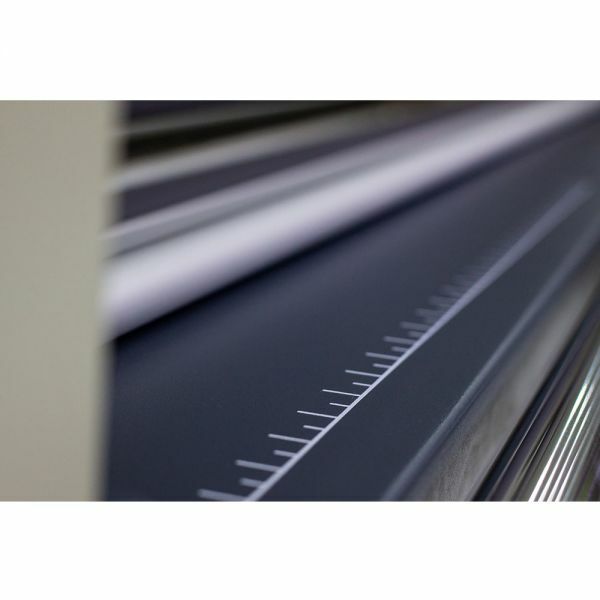 The accurate CNC metal cutting program secure align laminating and quality finishing; Ideal for wide format laminating or mounting application use. 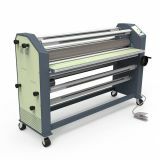 This 63inches Full - auto Wide Format Roll Heat Assisted Laminator with Stand can be widely used for pre - masking vinyl graphic, mount prints on substrate, over laminating inkjet prints and so on. 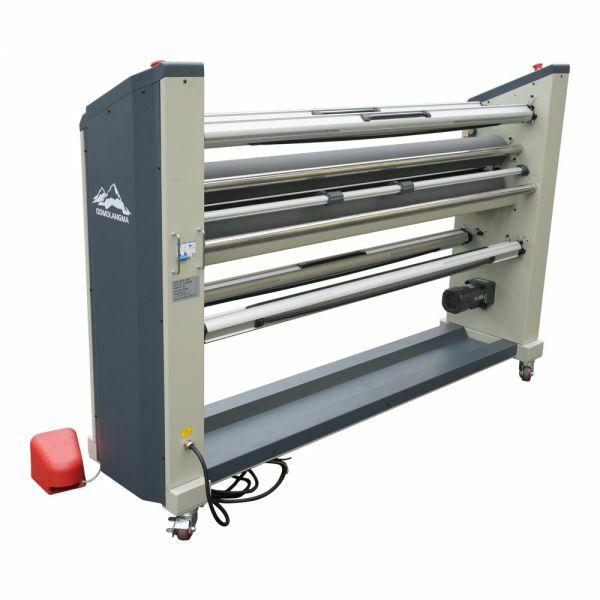 The warm laminator is used to after printing. Available for photographic, Ad. 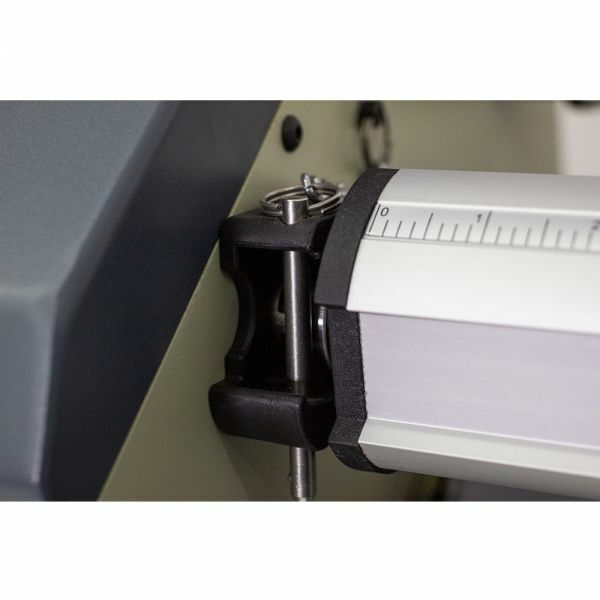 Shop and copy shop to do lamination work, adding a protective layer on books cover, photographic, color pages, documents, charts, drawings, indoor advertising products, etc. 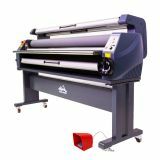 Purchasing this cold hot laminator, it is recommended to buy the cold laminating film together. 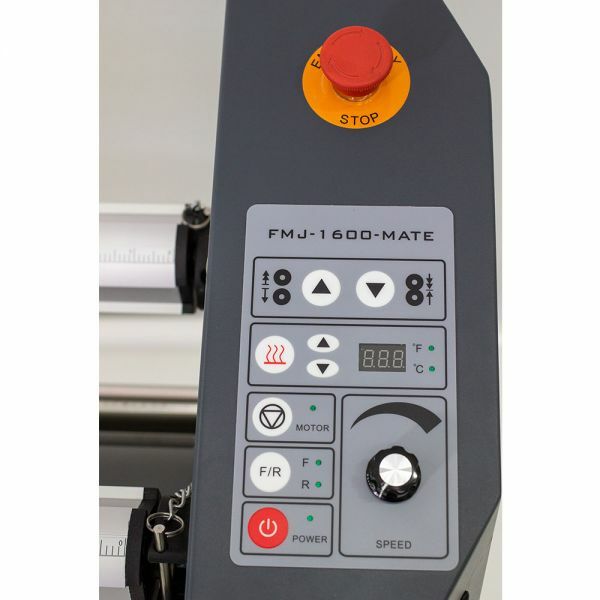 • Membrane control panel, Simple and easy to use control panel, easy load film supply shafts. • Cabinet frame, all - metal casing shell, more stable working performance. 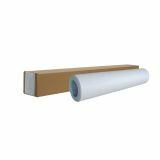 • 4.72 inches bigger rollers for best quality laminating control. 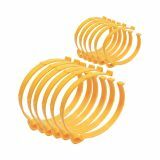 • High quality silicon rubber rollers, mounting up to 35mm (1.38 inches) in thickness. 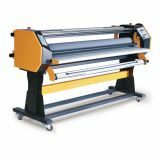 • Maximum laminating width -1600mm (63 inches). 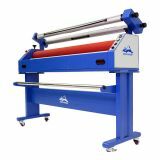 • Heated top lamination roller to 60C (140F). • Foot switch controls for hands free operation. 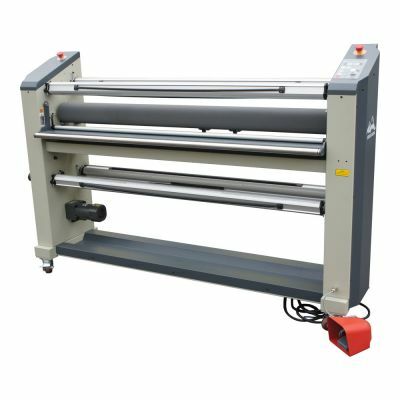 • Variable laminating speed up to 49ft / minute. • Fuse - less design with internal breaker box. • When working on the first picture, please have someone held the edge of the material to avoid it slipping through the bottom roller. 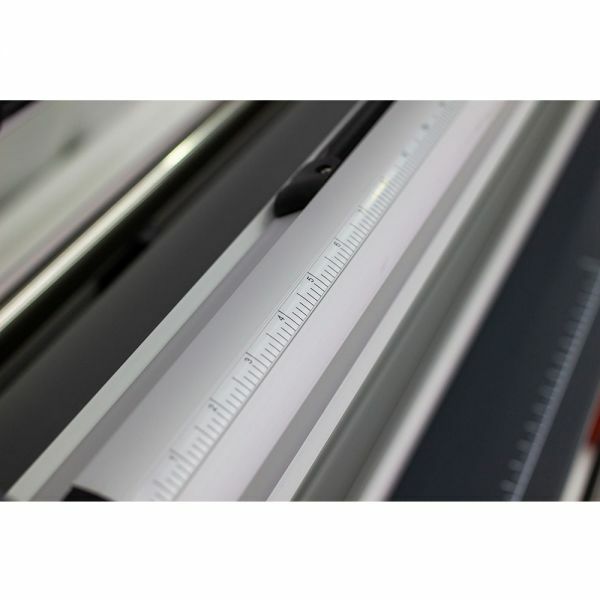 • To avoid tilted laminating, please ensure a right tangle between the picture and the work panel. 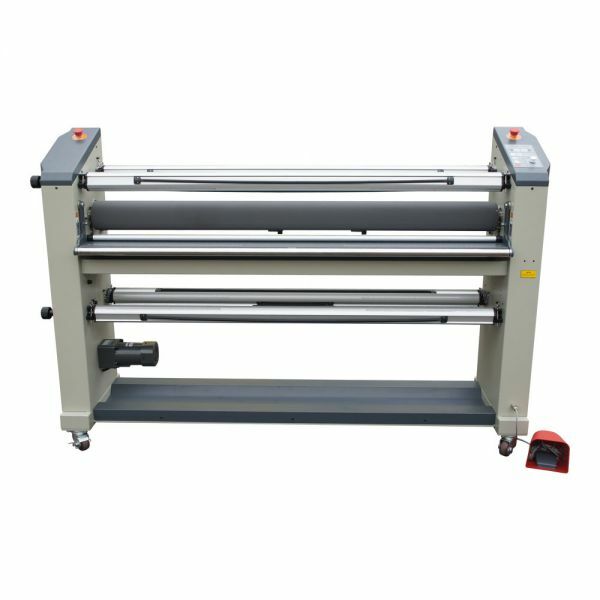 (1) Reduce the pressure of one side of tilted roller (please refer to Adjusting the Pressure of the Rollers on User Manual). (2) Increase the pressure to press the tilted picture during the laminating. 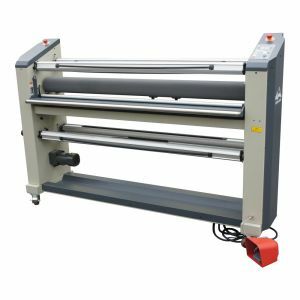 • This hot cold laminator is very important to keep the proper friction for the supporting-roller, collecting cover paper roller, supporting picture roller and the roller for collecting picture. • Keep the proper friction for the roller to avoid wrinkling. • The main rollers are the crucial parts of the machine. 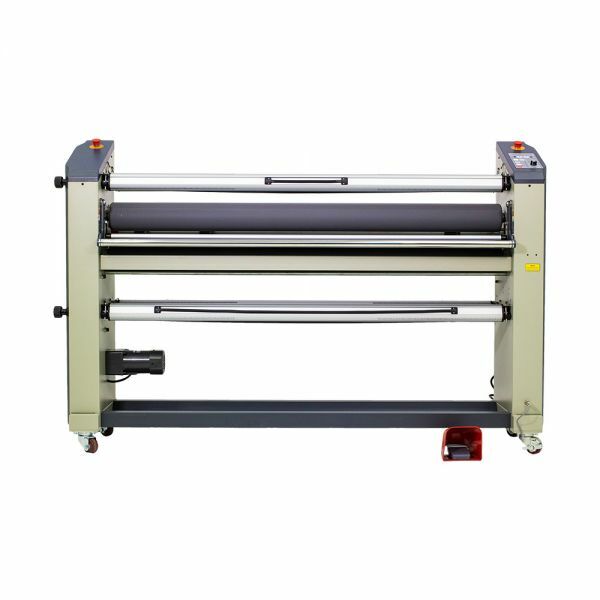 They directly relates to the output quality of lamination. Please make maintenance regularly. 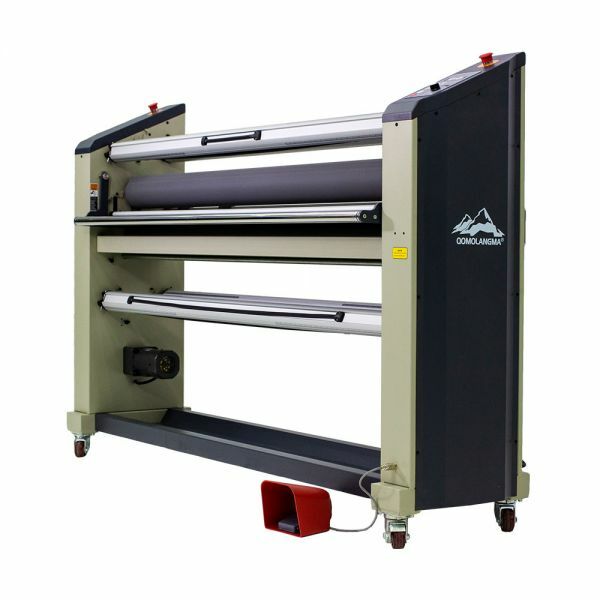 • Lift the top roller after lamination to avoid long-time pressing of the rollers to improve their lifetime. 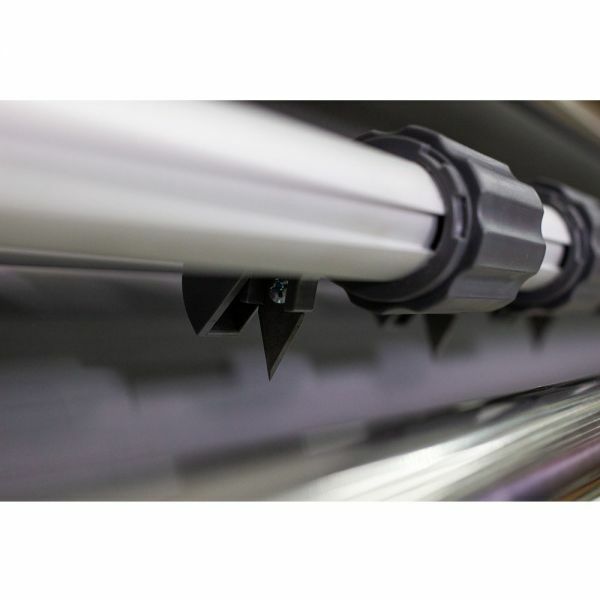 • Clean the rollers regularly to prevent a build-up of adhesive residue. They may affect the lamination quality. • Remove the adhesive residue by a piece of flannelette with alcohol or special adhesive remover. Gasoline is prohibited from applying. • When cutting the images, make sure the knife will not scratch the rollers. Q I have alot of questions. I am in Canada. What i sthe name of the company selling this product. Address, phone, website, etc. How does the warranty work? What if there is a major problem when I get the product? Do you fly in someone in from China? Also, How many days until receive the product. I am in the port city of Vancouver. Thanks. Q I was trying to change the city under shipping, but the website does not allow it. I was trying to change the city under shipping, but the website does not allow it. I have alot of questions. I am in Canada. What i sthe name of the company selling this product. Address, phone, website, etc. How does the warranty work? What if there is a major problem when I get the product? Do you fly in someone in from China? Also, How many days until receive the product. I am in the port city of Vancouver. Thanks.